Today, a company’s Quality data is often viewed as a strategic asset within the business and the key to driving continuous improvement and operational excellence. However, many companies struggle to compile the management reports they require to ensure their Quality program is yielding the expected results. Most of the time, these struggles can be directly traced to the lack of robust Business Intelligence capabilities that provide the transparency necessary to understand what is occurring within the operation and why. Therefore, more than ever, having the right tools to unleash the true value of Quality data is a critical aspect of a comprehensive Quality Management strategy. Imagine that you can spot a problematic trend within a key process before it becomes a major catastrophe. Many times important decisions are made after-the-fact which, in many instances, is often too late. What if decisions could be made proactively and were based on data and not just intuition? Ennov Report for Quality introduces advanced reporting, data visualization and analytics into day-to-day Quality operations to solve problems, support better decision making and drive greater business value. Ennov Report accesses, aggregates and presents the right Quality information in the right context to help you identify and address Quality issues effectively and efficiently. 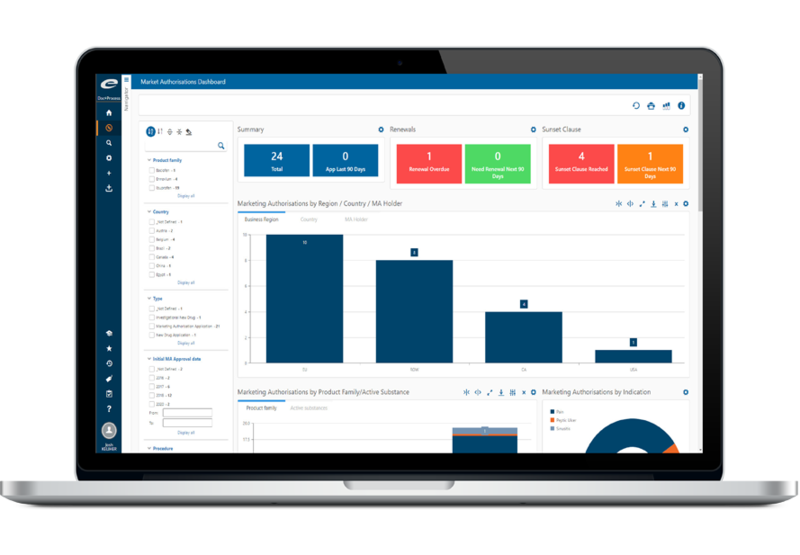 Ennov Report is capable of delivering the reports, dashboards and KPIs to help you keep abreast of performance metrics and trends that may be affecting operational effectiveness. Incidents such as CAPAs, Complaints, Nonconformances and Deviations and their associated response/cycle times can be charted over any number of variables such as product, location, data range and root cause.